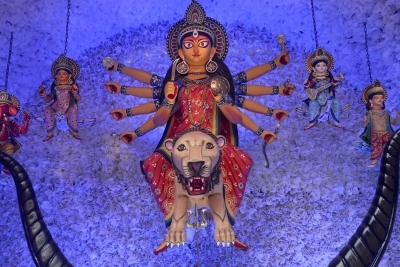 Kolkata, Sep 27 (IANS) With the growing party mood and decrease in dry days in West Bengal, liquor sales during this year’s Durga Puja festival are expected to increase by about 15 per cent over last year’s sales, an industry player said on Wednesday. “Liquor sales are expected to increase by 15 per cent this year over the sales during the Durga Puja festive days last year,” All Bengal Excise Licensees’ Association General Secretary Pradyut Kumar Saha told IANS. According to him, the state government’s decision last year to cut the number of dry days ensured “easy availability and prevented black marketing all through the Durga Puja days”. The state government had reduced the number of dry days from 13 to 4.5 days in a year. On dry days, sale of alcoholic beverages is prohibited. Republic Day, Independence Day, Gandhi Jayanti, 10th day of Muharram and Dol Jatra (until 2 p.m) are the dry days in West Bengal. According to the industry point of view, liquor consumption goes up during festivals and the market moves towards premiumisation. Explaining consumer preference during the festive season, Saha said customers who usually consumed country liquor most of the seasons would prefer Indian-made foreign liquor over domestic varieties during these days. “They look for more premium products during the festive days,” he added.